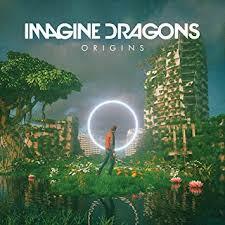 Origins, the fourth album from KIDinaKORNER/Interscope’s Imagine Dragons, originates at #1 this flipover Friday, leading the way in an all new Top 7 at iTunes. Right behind the Dragons is the second album from Kane Brown, Experiment (RCA Nashville) and album #8 from Muse, Simulation Theory (Warner Bros.). The second full-length from late rapper Lil Peep, Come Over When You’re Sober, Part 2 (AUTNMY/Columbia) sits at #4 at iTunes and #11 at Apple Music. New titles from Sabrina Carpenter, Hanson, The Piano Guys and some band called The Beatles are in slots 11 through 20. Two other albums in the iTunes Top 20 are in the Top 10 at Apple Music. Trippie Redd’s mixtape A Love Letter to You 3 (Ten Thousand Projects) is #2 and Lil Durk’s Signed to the Streets 3 (Alamo/Interscope) is #7. Over at iTunes songs, “Chances,” a pre-release from Backstreet Boys’ DNA that RCA will release in January, is #9.